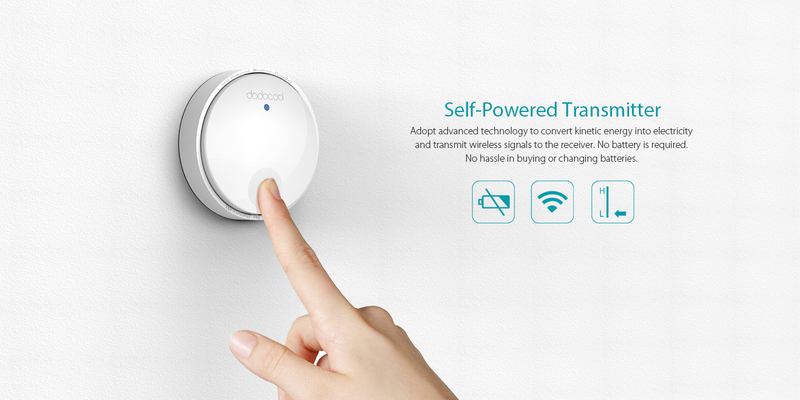 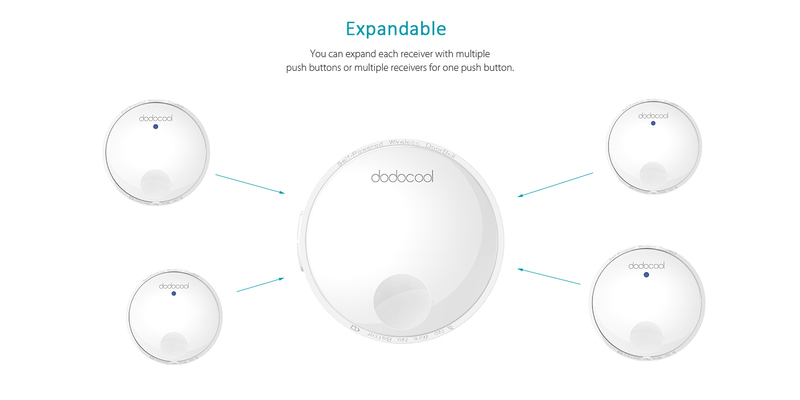 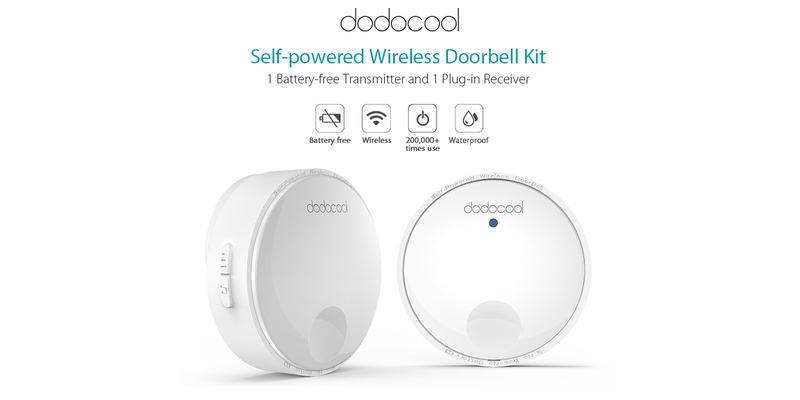 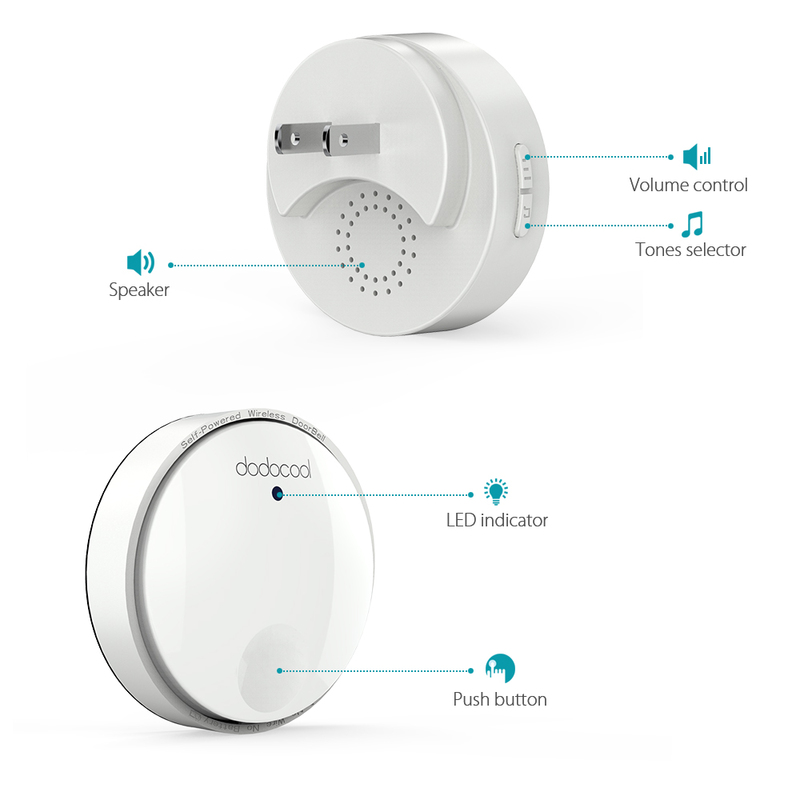 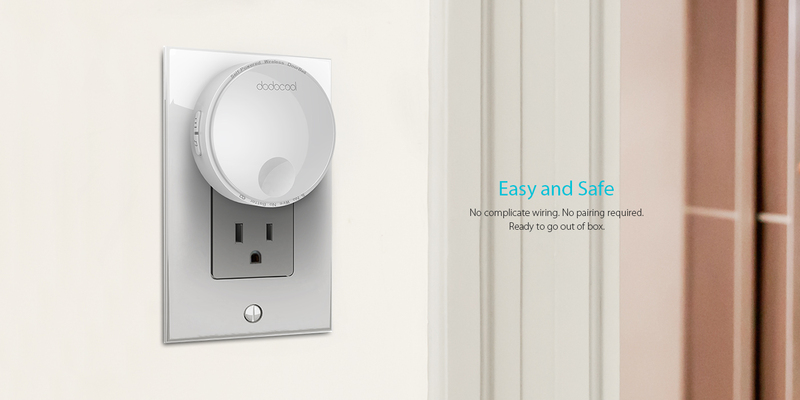 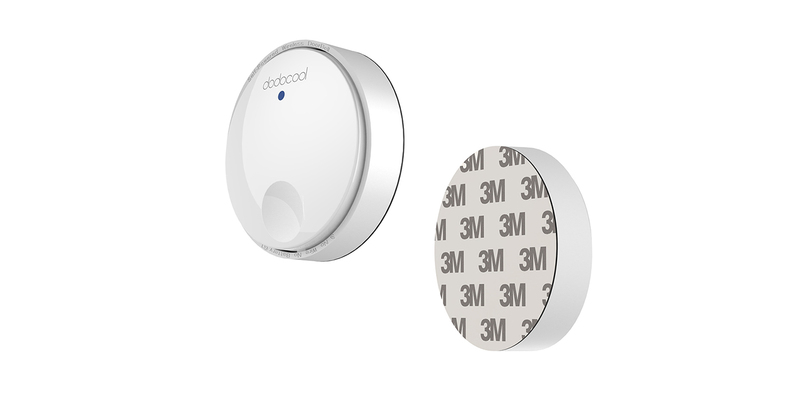 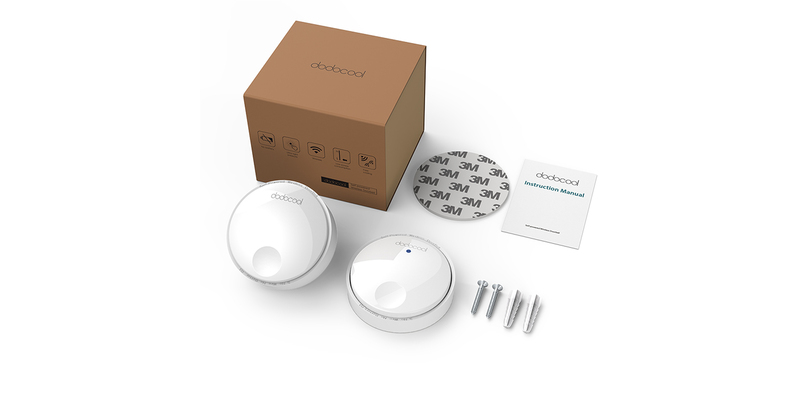 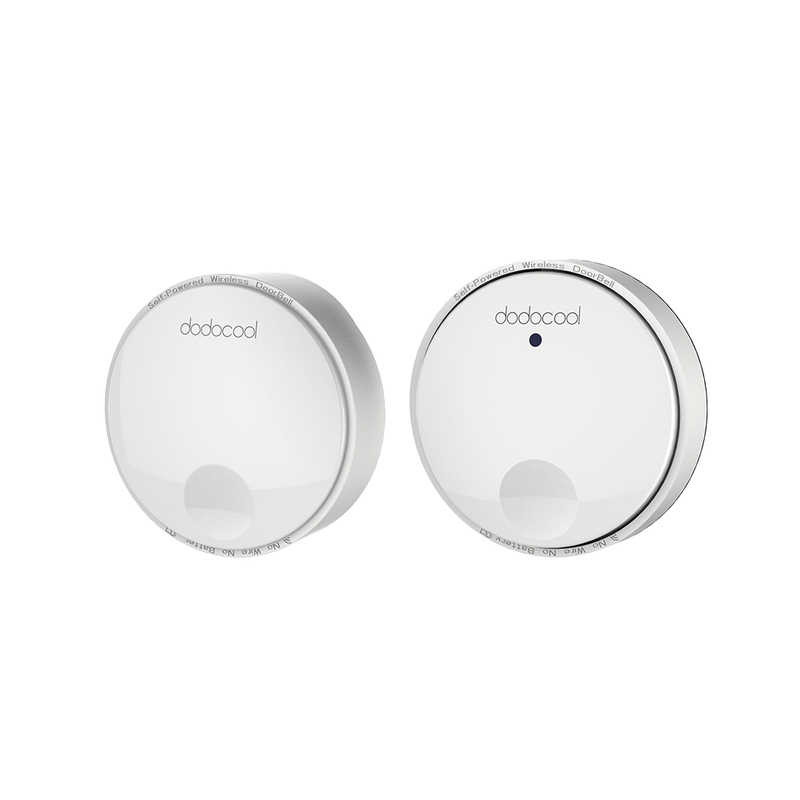 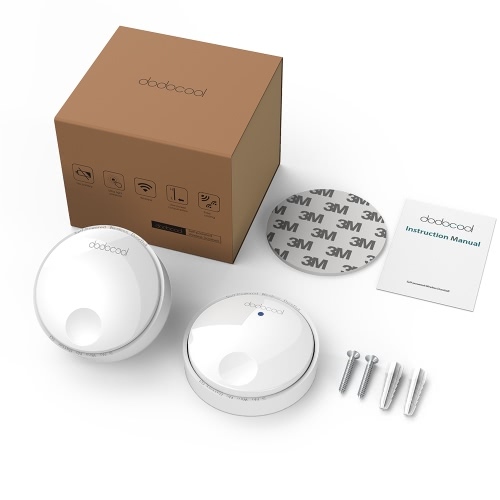 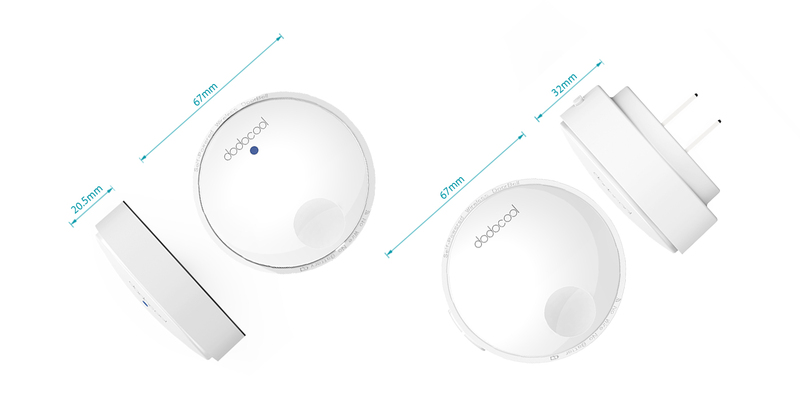 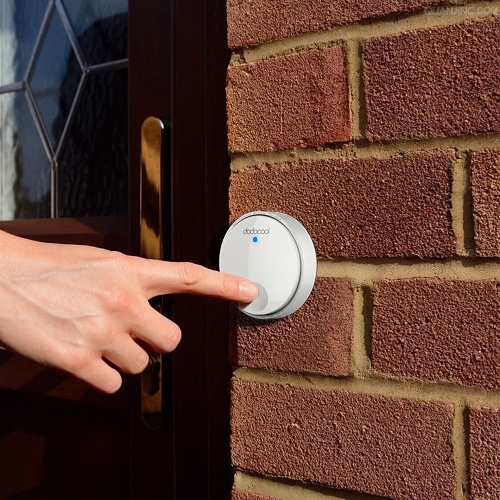 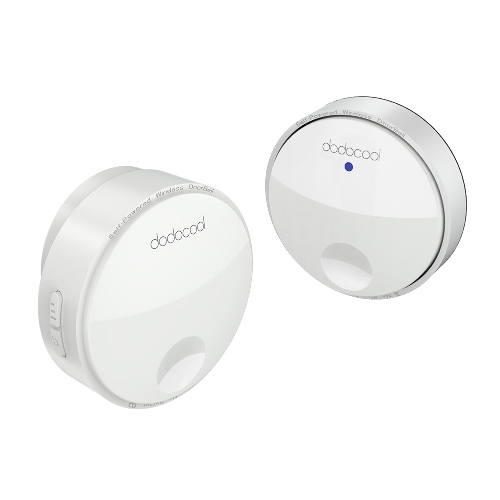 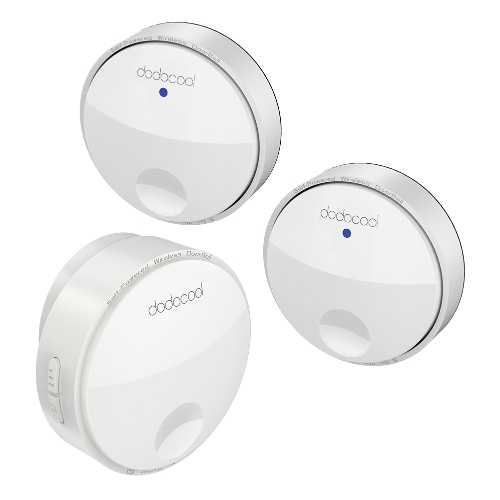 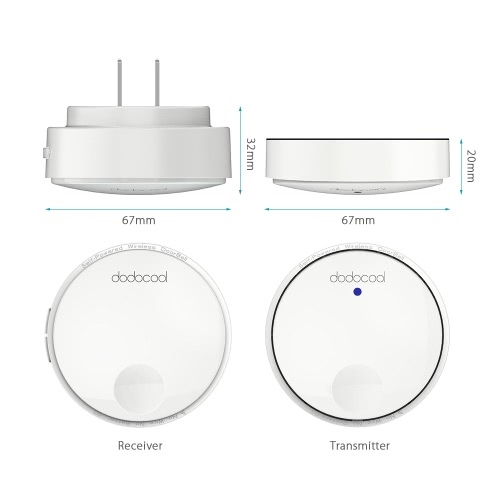 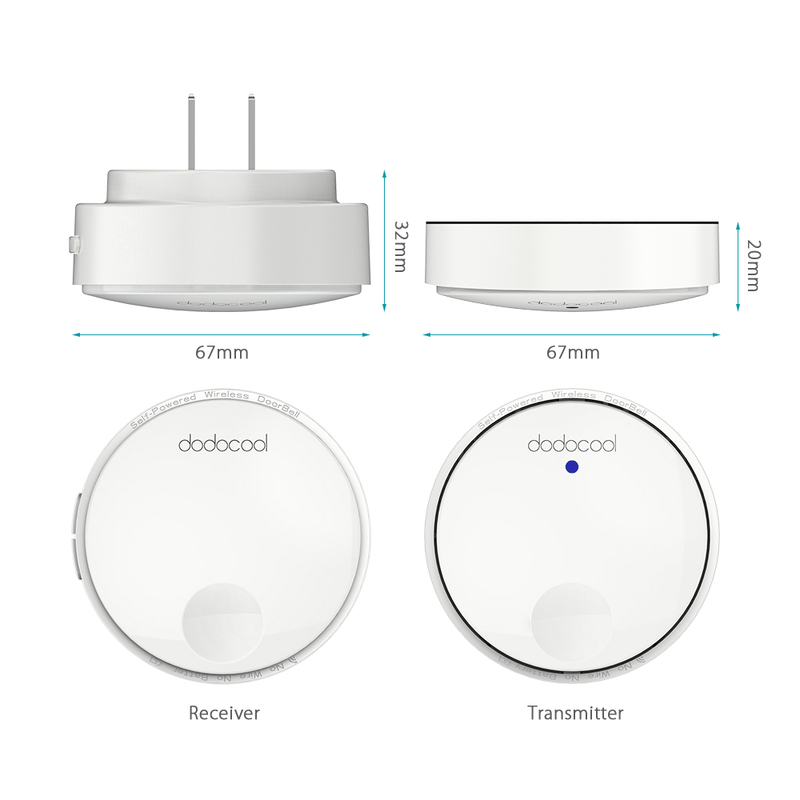 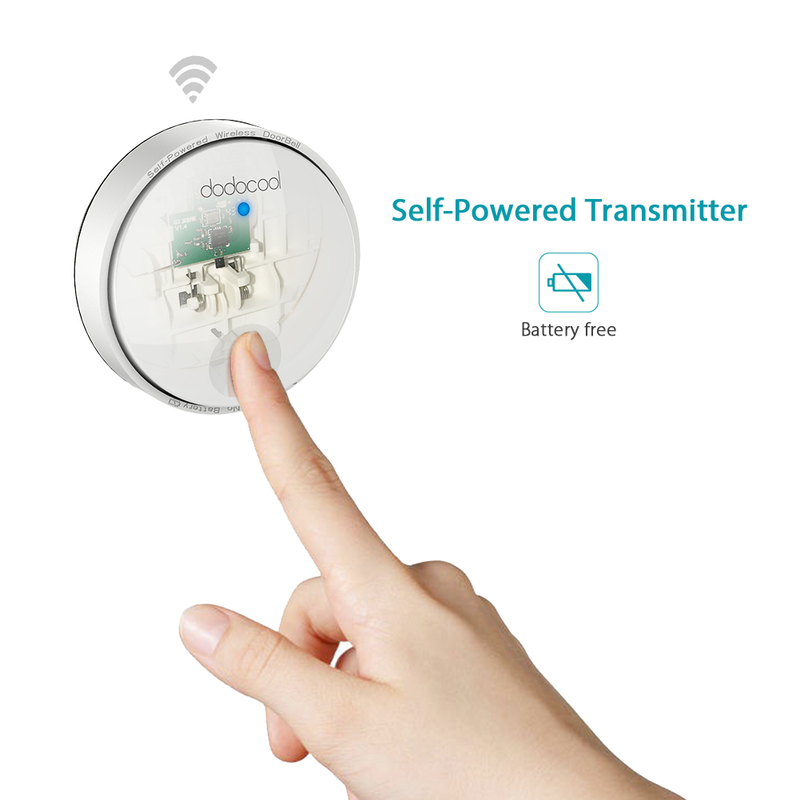 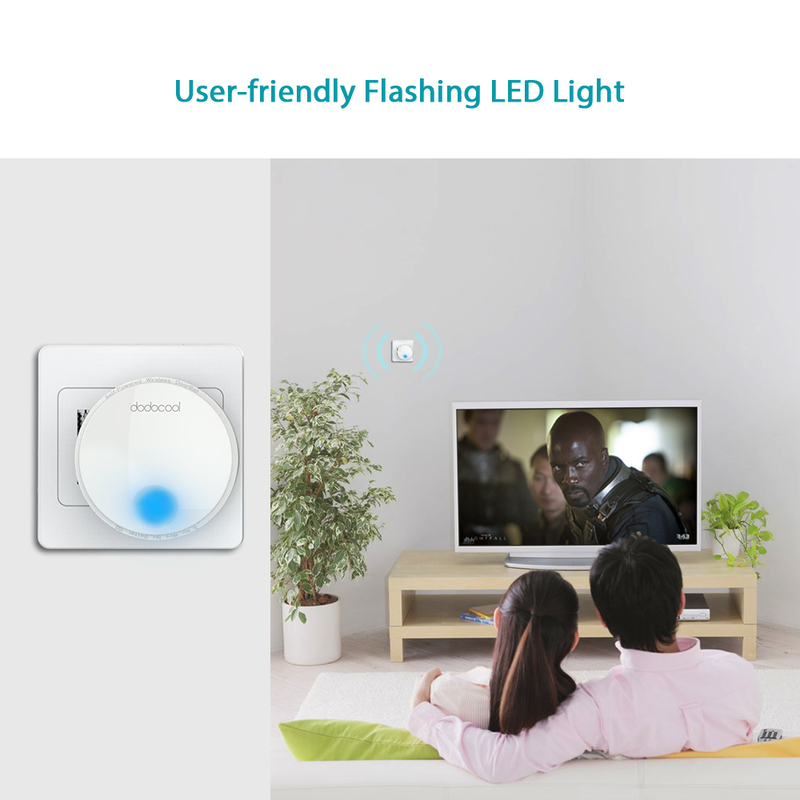 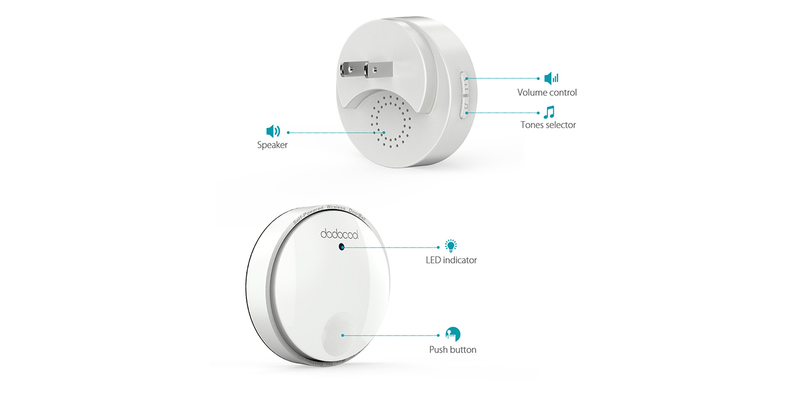 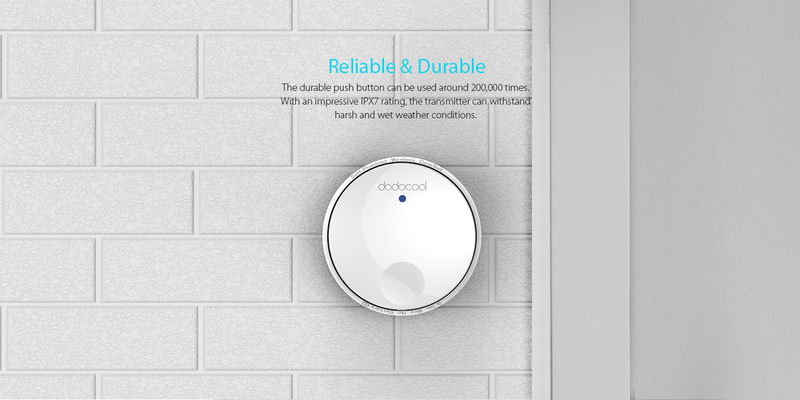 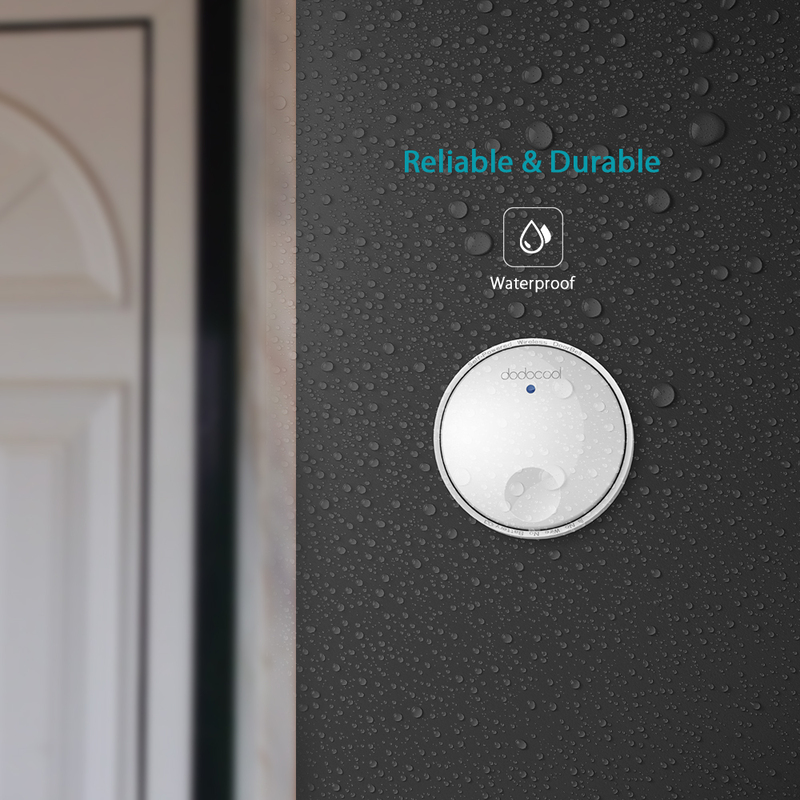 dodocool Self-powered Wireless Doorbell Kit includes one self-powered transmitter and one plug-in receiver with LED lights. 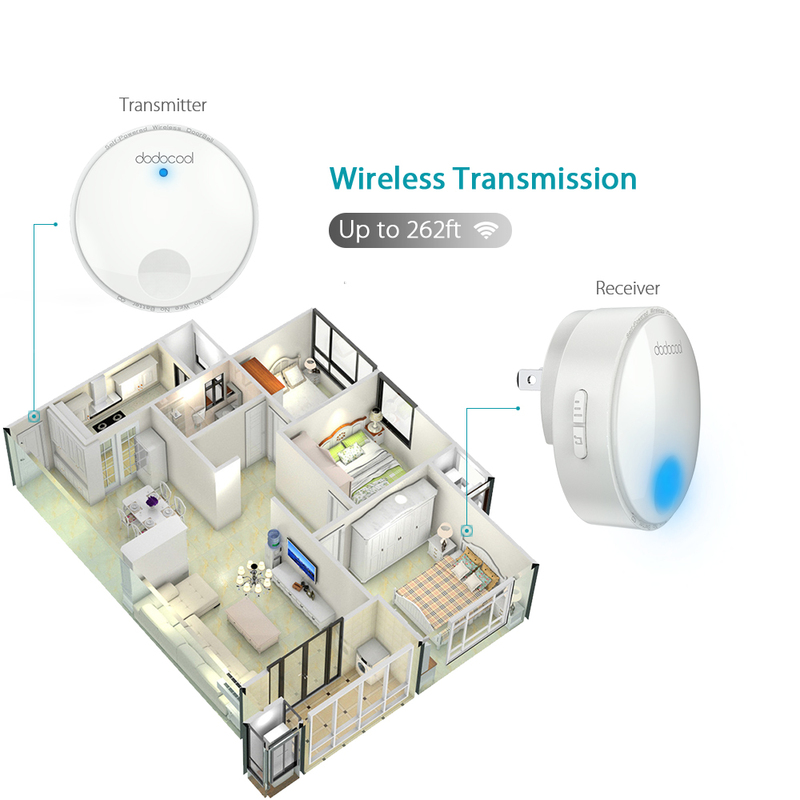 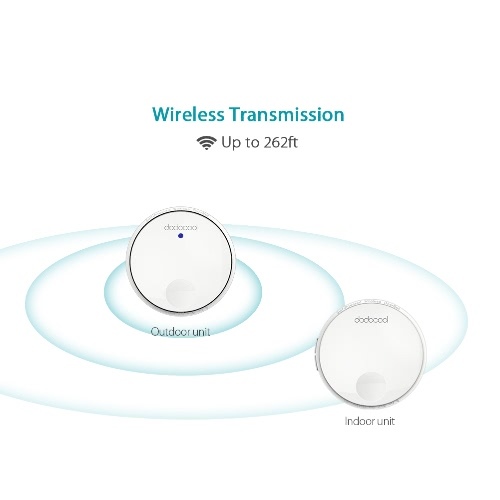 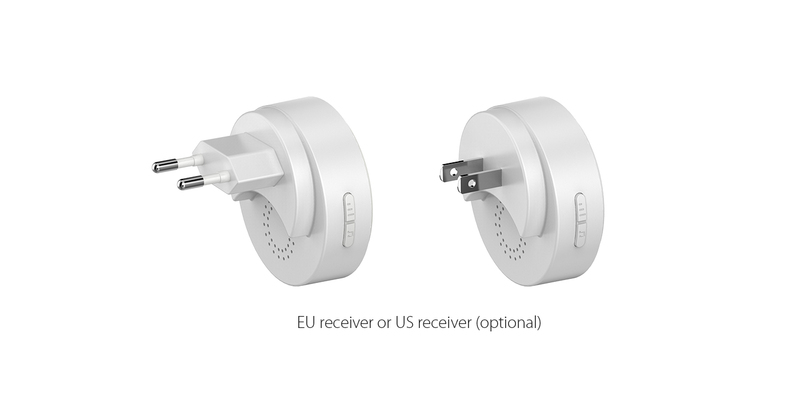 It offers a 262ft wireless operating range and has the flexibility to be mounted or placed anywhere around your home. 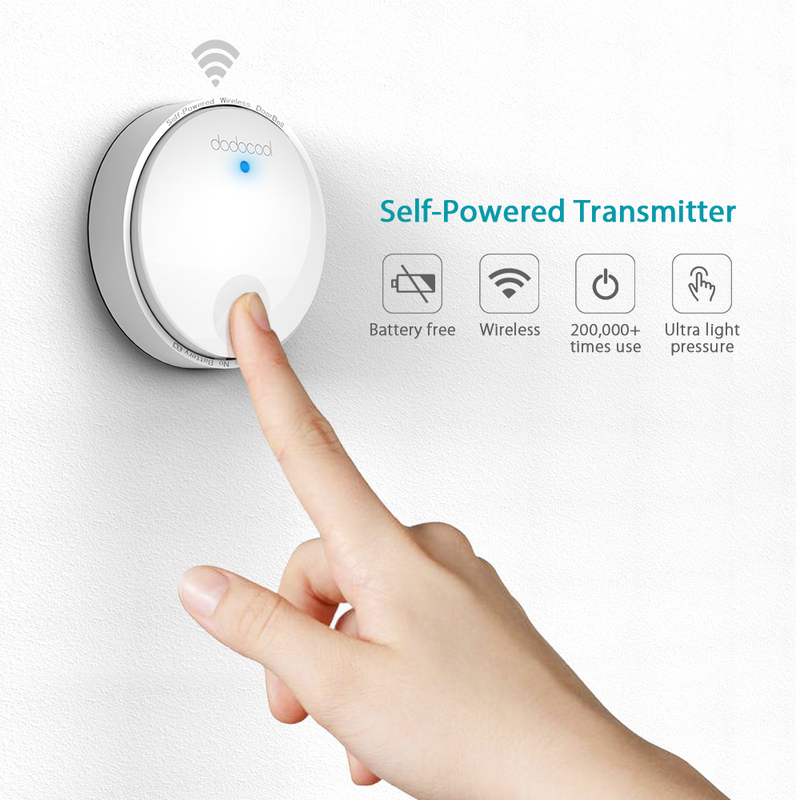 The self-powered transmitter is rated IPX7 and requires no batteries. 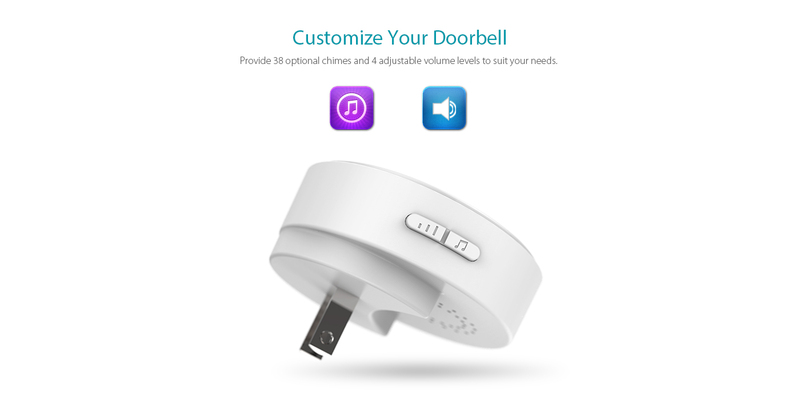 The receiver features 38 doorbell chimes, 4 adjustable volume levels and CD quality sound. 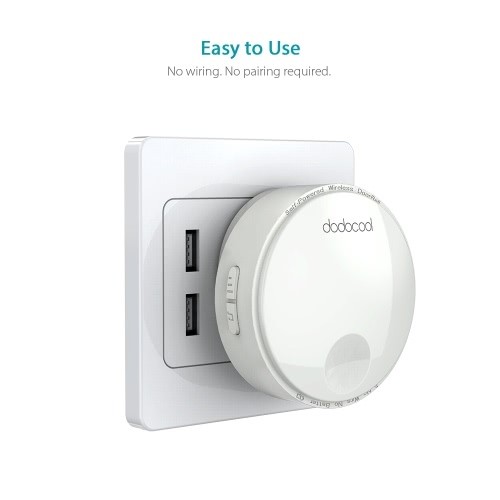 It can be conveniently used in homes, offices, factories and more. 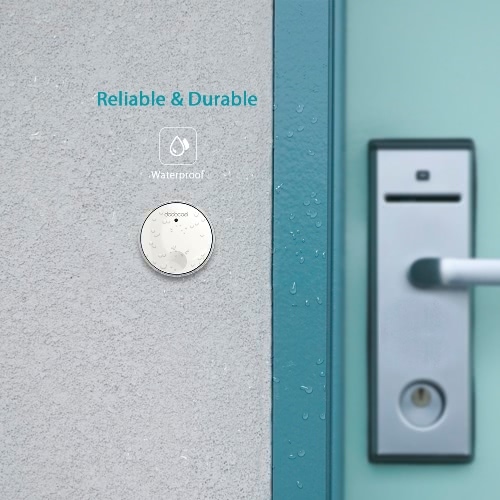 The durable push button can be used around 200,000 times. With an impressive IPX7 waterproof rating, the transmitter can withstand harsh and wet weather conditions. 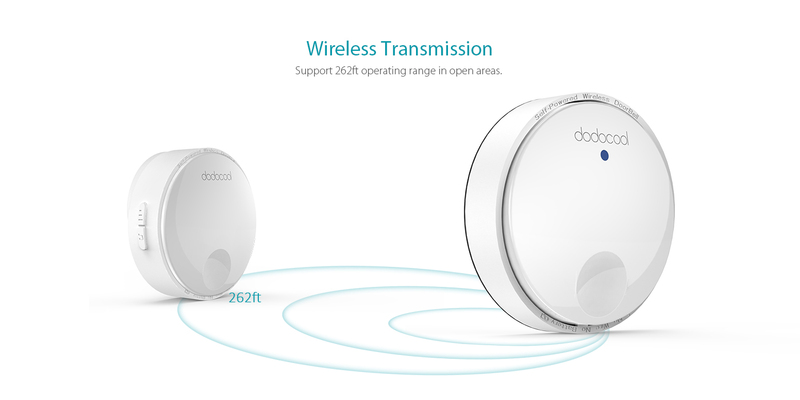 Support a wide wireless operating range of up to 262ft in open areas. 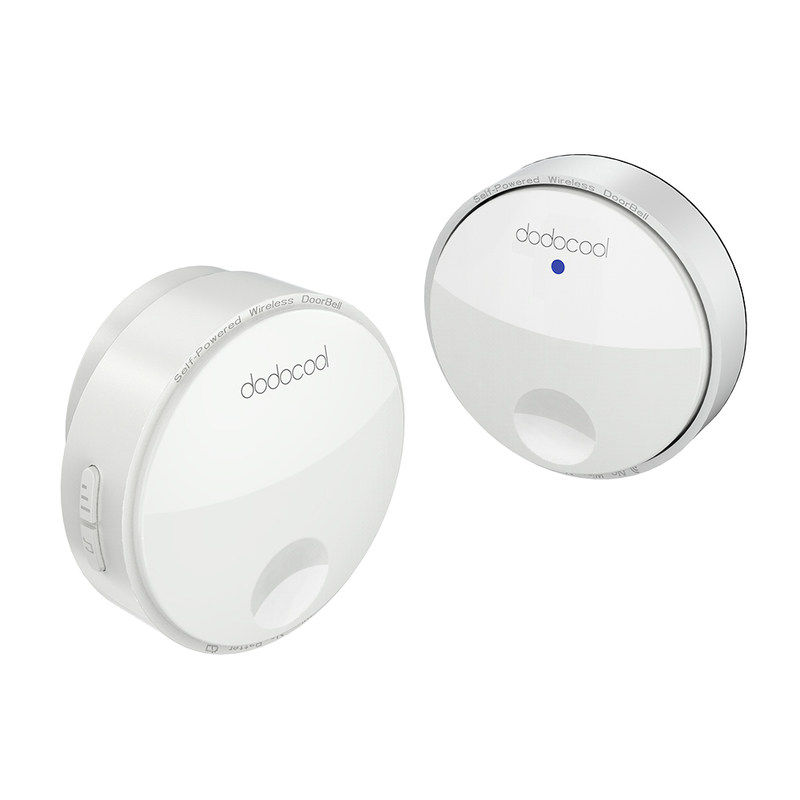 Get instant audio and visual alerts when visitors press the button on the transmitter. 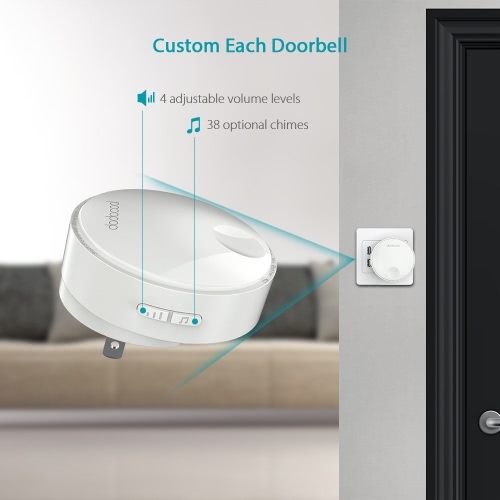 Never miss a visitor again. 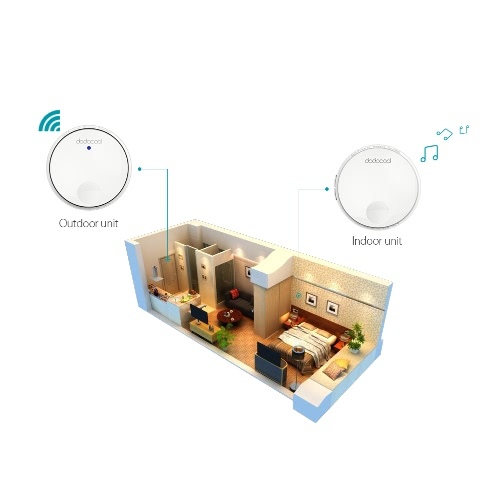 The receiver offers 38 optional chimes and 4 adjustable volume levels (up to 105 dB) to suit your needs.